Are you landing in Genoa? If you are landing in Genoa you can easily reach the Cinque Terre by train and check into one of our amazing properties. Weather you need to check at an apartment in Manarola, a villa in Monterosso, a studio or a room in Vernazza, train is a valid way to travel the area. Before booking your flights be sure you have found the right accommodation in the Cinque Terre. They’s a high demand for Cinque Terre apartments and rooms so better booking them in advance and before fixing your flights! Genoa Airport “Cristoforo Colombo” is quite close to Genoa City Centre. The Airport is linked to Brignole and Principe railway stations by Volabus service and to Sestri Ponente railway station by i24 bus service. From all these stations it’s possibile to reach the main cities in Liguria, Cinque Terre included, the nearby regions. You can buy your ticket just after the landing, at the arrival hall. Then, to reach Monterosso or the other Cinque Terre villages for your rental check on Trenitalia website the train schedule. From Sestri Levante to Sarzana we have, from 1 April to 1 November, a regional train service called 5 Terre Express. Frequent trains (every 20/30 minutes) stop in all the Cinque Terre villages: Monterosso, Vernazza, Corniglia, Manarola e Riomaggiore. Between the train stations of Levanto and La Spezia you can ride with a Cinque Terre Ticket that can be bought at any Trenitalia Ticket Office and Online – Price 4€ per Adult and 2€ per child (4 to 12) (rates to be approved for 2018). 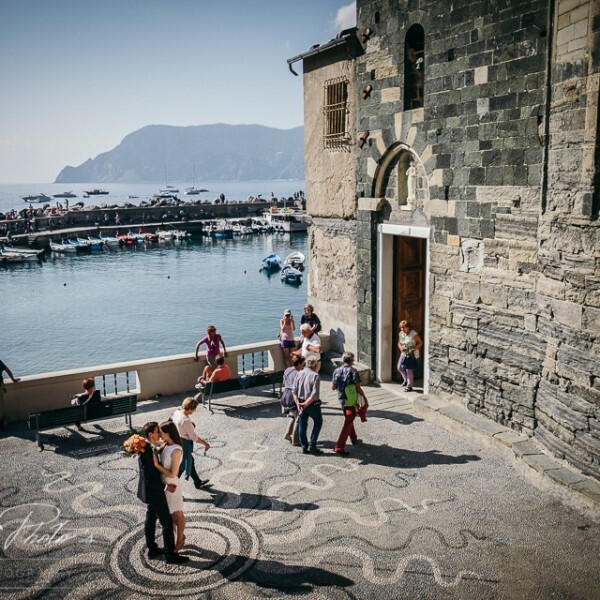 Since Genova and the Cinque Terre are in the same region, Liguria, you do not have to buy the tickets separately from Genoa to Sestri Levante and then from Sestri Levante to Cinque Terre villages. You can buy them from the same link on Trenitalia.com. After your stay in the Cinque Terre, if you want to visit other Italian towns let’s say Florence, Rome, Milan or Venice, you need to buy online the regional ticket from the Cinque Terre to La Spezia or Sestri Levante at following link for the Cinque Terre Express. This ticket has separate price of 4.oo euros and specific rules. It is also the ticket you need to use when you want to explore the Cinque Terre. Then you can buy the ticket from La Spezia (if headed to South and East) or Sestri Levante (if headed to North and West) on general Trenitalia Page. REMEMBER TO VALIDATE YOUR TICKET BEFORE YOUR DEPARTURE AT THE GREEN MACHINES IN THE STATIONS. Your ticket will then be valid for 75 minutes. From November 1st 2017 then you will be able to travel on the entire line buying a regular regional tickets without any surcharge.